This classic tote is new for Cruise 2019 in the Intrecciato Lace workmanship. The bag is made of handwoven nappa leather that is framed by smooth nappa with a scalloped edge and embellished with metal eyelets in different sizes and finishes. 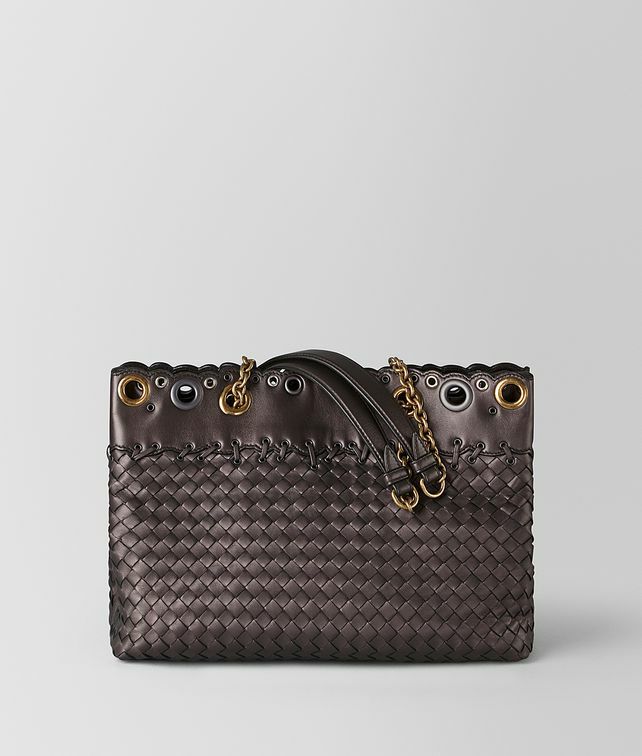 The border between the smooth and woven leather is highlighted with oversized nappa stitches. Finished with a suede-lined interior that is divided into two compartments by a zipped partition. Width: 32 cm | 12.6"
Depth: 14 cm | 5.5"